Google made an announcement recently about the new additions & features in your Adwords account which makes it easier to track & estimate the growth of your marketing campaigns. 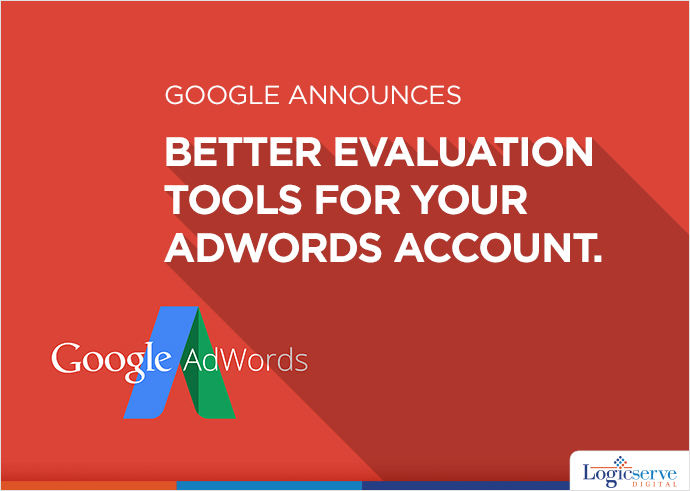 There is a new feature waiting for you in your Adwords account. Google made an announcement recently about the new additions and features in your Adwords account. Campaign groups and performance targets are envisioned keeping in the mind the futuristic path of digital advertisement. These features make it easier to track and estimate the growth of your marketing campaigns. 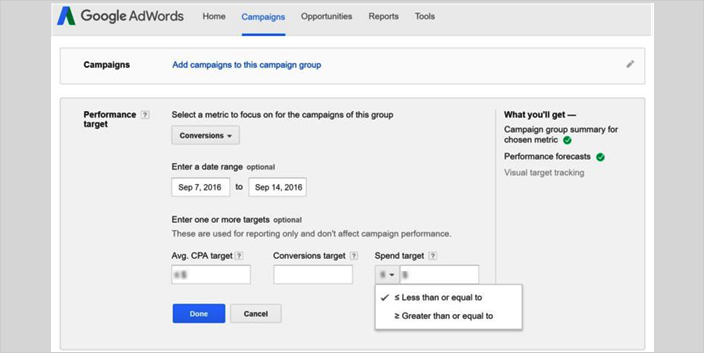 They made this announcement on their AdWords blog mentioning that these two unique features help to track the performance, performance targets and record the campaign groups. Jon Diorio (Google Team) on Google+, excitedly informed at the launch that if users want to reduce the time and energy they use, to monitor and track performance by the campaign goals, then this feature is the best suitable for them. The Campaign Group Feature allows users to group up all Google ad campaigns together. This can be set for all types of ad campaigns including search, shopping, display and YouTube. This feature makes it easier to track and improve your ad campaigns time to time by the progress it shows. The vision of Google by implementing this feature is to help all marketers to track marketing arenas across the network of ad prospects by the medium of grouping. An example provided by Google included the ‘Holiday Launch’ campaign in which you could easily link the YouTube campaign statistics to the e-commerce and other search ads. The Campaign Groups is a strictly monitoring feature and at this point, it does not include any management feature. Campaign Groups are accessible and situated on the left sidebar of the AdWords. The setup of campaign groups are quite simple, and it is possible to set several groups with distinctive targets. After users add various campaigns to a particular group, they can monitor the performance on clicks, conversions, goals and other specific targets set like total expenditure, total conversions, total clicks and average CPA or CPC. This new feature sets goals for the campaign and tracks all the clicks and conversions for the campaign group. After combining performance targets with campaign groups, you set targets, clicks and conversions for Google’s network of market platforms. The Product Manager of Google Adwords, Jon Diorio mentioned in his interview that with this new feature you can get to know the clicks or conversions along with the budget and the CPA or CPC you want to maintain. With this, you can get to know how your campaign group is performing automatically in a single view. Will be shown against the goals and performance that will be achieved at the end of the campaign period. LogicSpeak: However, this feature won’t hamper the way Google serves ads to various users but will help to optimise campaigns by providing better evaluation tools.